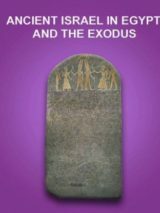 Alan Millard examines the Proto-Canaanite script of the earliest alphabetic text ever found in Jerusalem. What can it tell us about literacy during the time of David and Solomon? Archaeologists working at the Greek site of Olympia, home of the ancient Olympic Games, discovered a Roman-period clay tablet containing 13 lines of Homer’s epic poem The Odyssey. The Biblical Archaeology Society is now accepting applications for the 2018 Joseph Aviram, Yigael Yadin, and Hershel Shanks fellowships. Where did Jesus turn water into wine? 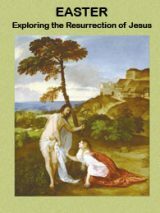 According to archaeologist Tom McCollough, one site offers the most compelling evidence that Cana of Galilee has been found. In a BAR article, epigraphy scholar Christopher Rollston asks a seemingly straightforward question: What is the oldest Hebrew inscription? Send wine: A newly deciphered letter from Israel’s Negev desert describes an exchange of supplies between two Judahite military officers. Excavations at Khirbet Qeiyafa have uncovered a second city gate from the 10th century B.C.E., the time of King David’s reign. No other site from this period has more than one gate. What do Qeiyafa’s two city gates tell us about the Kingdom of Judah in David’s time? Shlomo Moussaieff, who owned the world’s largest private collection of Near Eastern antiquities, passed away in the summer of 2015 at the age of 92. What is the future of his collection? 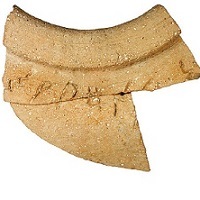 A 3,000-year-old inscription discovered at Khirbet Qeiyafa references the Biblical name Eshbaal. This is the first time the name has been found in an ancient inscription.